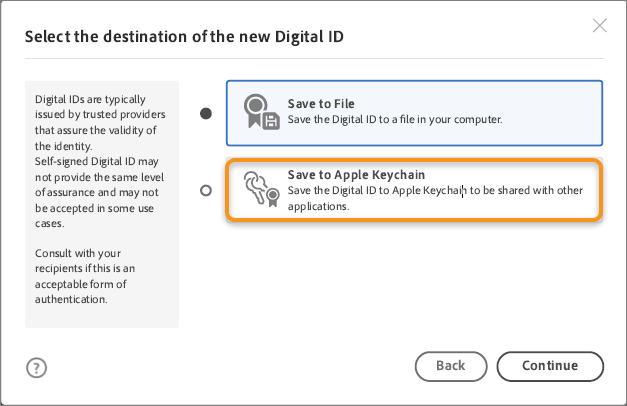 If you want to maintain the old user experience when applying a digital signature, you can use the following new preference that allows switching between the new experience and the old one. 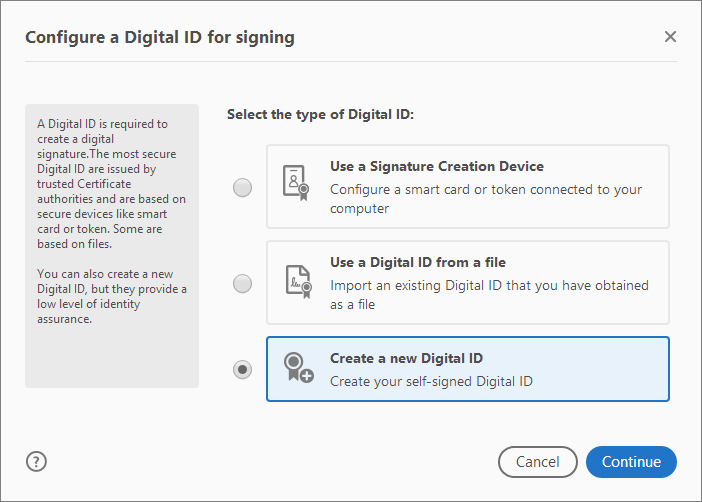 Edit > Preferences > Signatures > Digital Signatures > More > Creation: Use modern user interface for signing and Digital ID configuration. 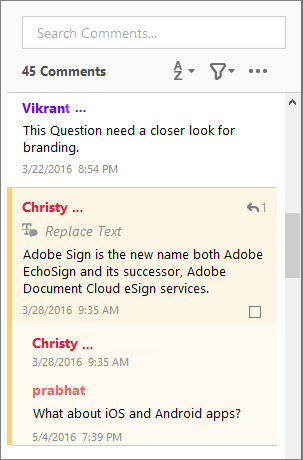 Acrobat now supports Microsoft’s new DirectInk technology. Write and draw more smoothly and accurately right in your PDF with the improved Pen tool that leverages the DirectInk technology. For even better DirectInk results, use a hardware pen on Windows 10 devices like Microsoft Surface Pros. The undo and redo operations are now supported in the Tags editor (View > Show/Hide > Navigation Panes > Tags). New tag creation: The undo action removes the last tag created, and the redo action restores the same tag. Tag deletion: The undo action restores a deleted tag, and the redo action deletes the tag. Tag edit: The undo action undoes the last edit done on the tag, and the redo action restores the state before the last undo. Cut and paste tags: The undo action cancels the cut-and-paste operation, and the redo action restores the state. Multiple tags created from the selection: The undo action removes all tags created from the selection, and the redo action restores all of them. 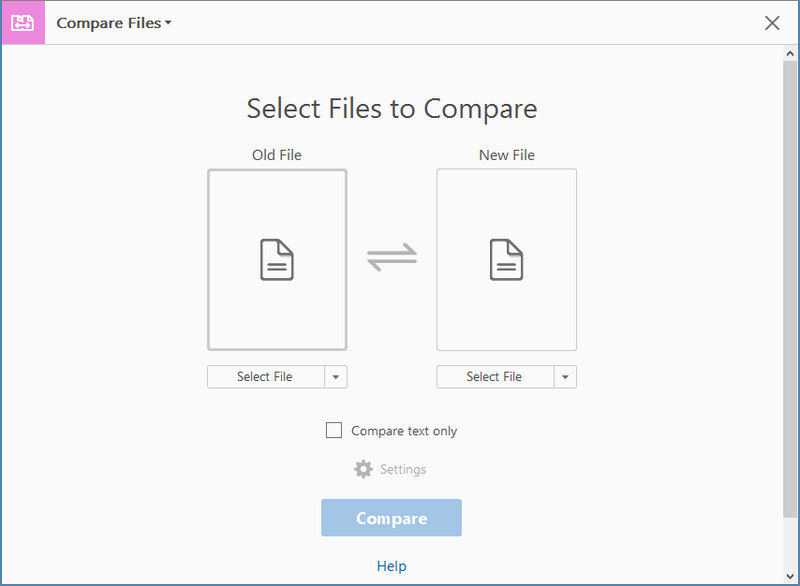 If you have opened a file from cloud (Creative Cloud, Document Cloud, DropBox, OneDrive, etc. ), the Save As PDF dialog now defaults to the file’s source location instead of My Computer. Thanks to new PDFMaker add-in support, now you can create high-quality Adobe PDFs from inside the 64-bit version of Microsoft Word 2016 and PowerPoint 2016 for Mac using the Acrobat ribbon (Acrobat > Create PDF). Two-side scanning is now enabled with ICA on Mac OS. You can scan both sides even if the scanner is not duplex. Acrobat DC now has a new version of the OCR library (iDRS 15.2.2.1819). Apple will no longer provide security updates for its legacy QuickTime for Windows software, leaving this software vulnerable to exploitation. To safeguard Acrobat and Reader, Adobe has also deprecated support for QuickTime on Windows. Acrobat DC and Reader DC now use the built-in Windows video player to play legacy QuickTime videos - the videos embedded in PDFs created in Acrobat 9 and earlier. For more information, see Deprecated QuickTime support on Windows. You can now create high-quality Adobe PDFs with live links from inside Microsoft Word 2016 (32-bit, version 15.22 or later) for Mac using the new Acrobat ribbon. Starting with OS X 10.11, Apple has made changes in their drawing loop, which has resulted in content not being drawn in Acrobat or Reader when the mouse is dragged to select some text. 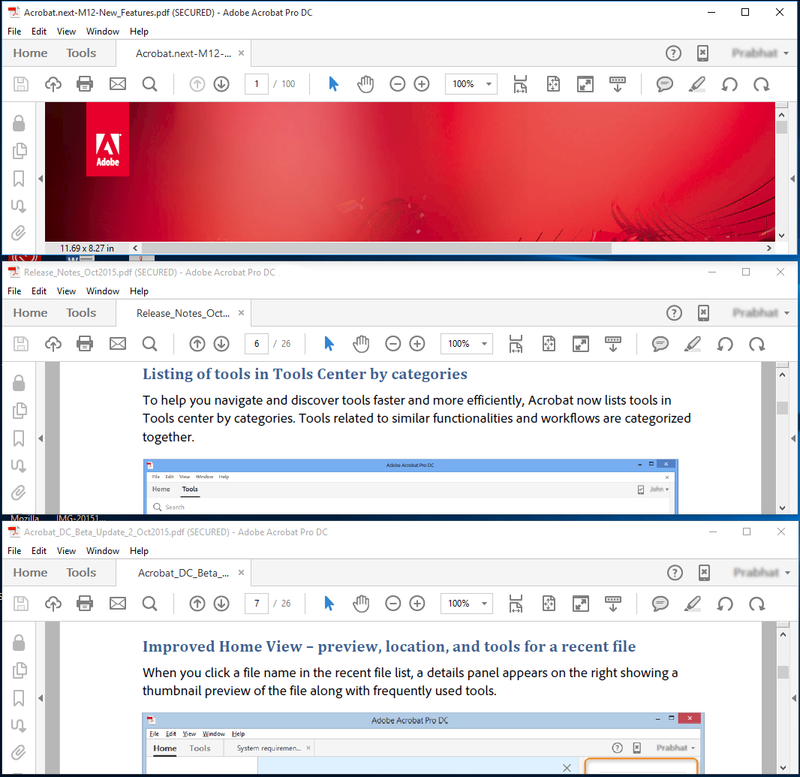 To resolve this problem, Adobe has made necessary changes in Acrobat and Reader to improve the text selection performance. The changes cover all the mouse-dragging operations, such as Hand tool, Selection tool, Tabs, Annotations, Editing, and so on. Support for 36 new languages and 83 new Unicode ranges are added in Web Capture. 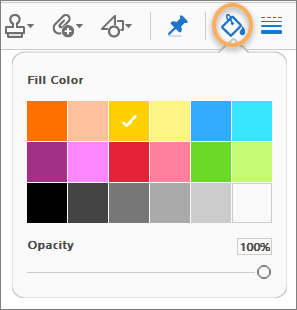 When you change the theme in Acrobat or Reader (View > Display Theme > Dark Gray/Light Gray), the theme is applied immediately; relaunch of application is not required. For cloud files, Acrobat DC and Acrobat Reader DC now shows specific icons next to their names based on their location. The icons are displayed in the Recent file list, File menu, and Custom open/save dialogs. 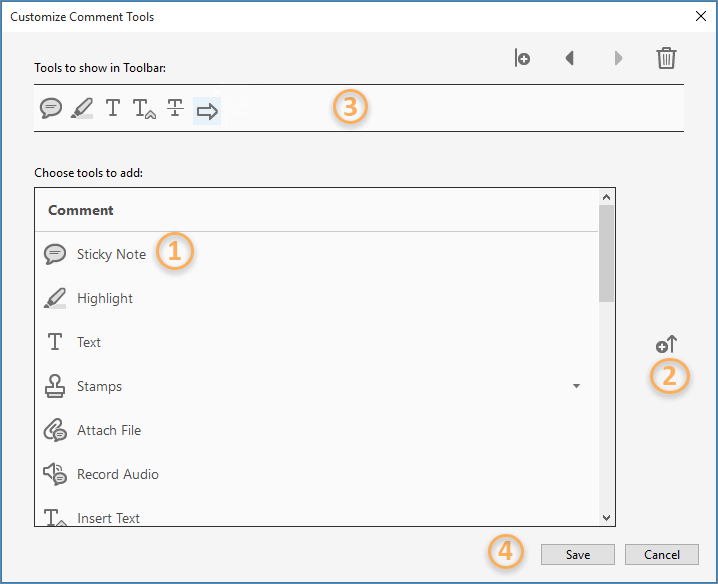 All the new and improved commenting features, introduced in the May 2016 release of Acrobat DC Continuous, are now also available in Acrobat DC Classic. The Add Note to Replace Text tool, which was removed from the Comment toolbar in the previous release, is now added back to the toolbar. 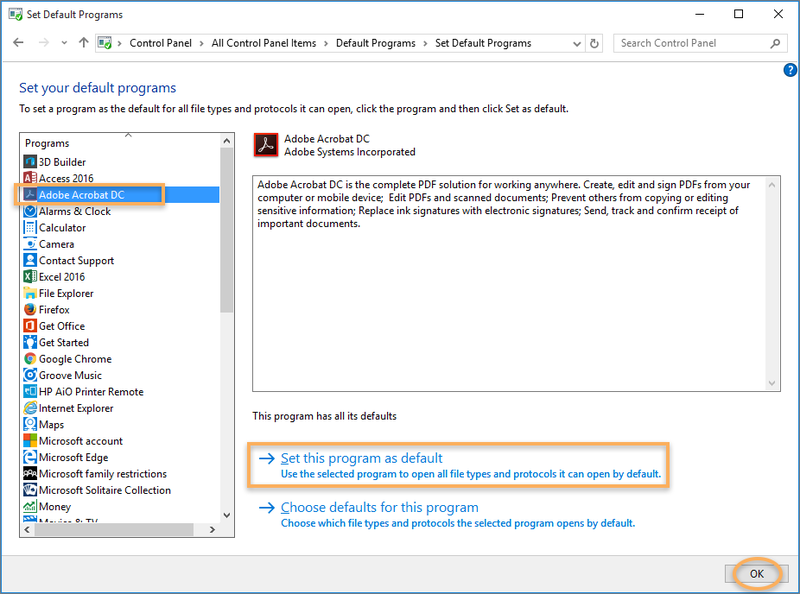 On Windows 10 Threshold 2 or later, Acrobat Reader or Adobe Acrobat is no longer the default owner of PDF files. 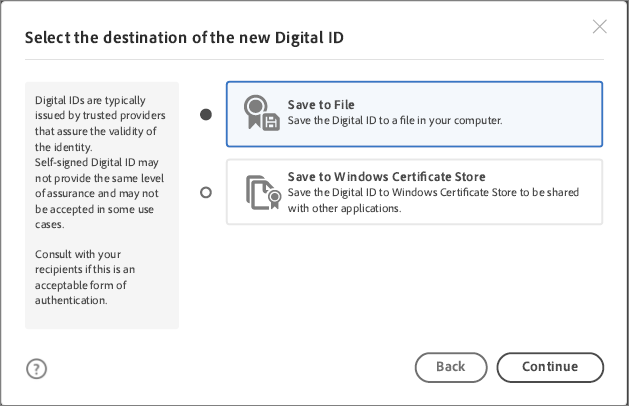 To provide ownership of PDF files to Adobe Acrobat, follow the steps below. Launch Acrobat. After a few seconds, Acrobat detects that it is not the default owner and shows a prompt as shown below. Click Yes. An information dialog box is displayed; it indicates the steps required to make this change. Click Continue. Acrobat launches the Set Default Programs dialog box. Choose Adobe Acrobat DC in the Programs list. Click Set this program as default, and then click OK. 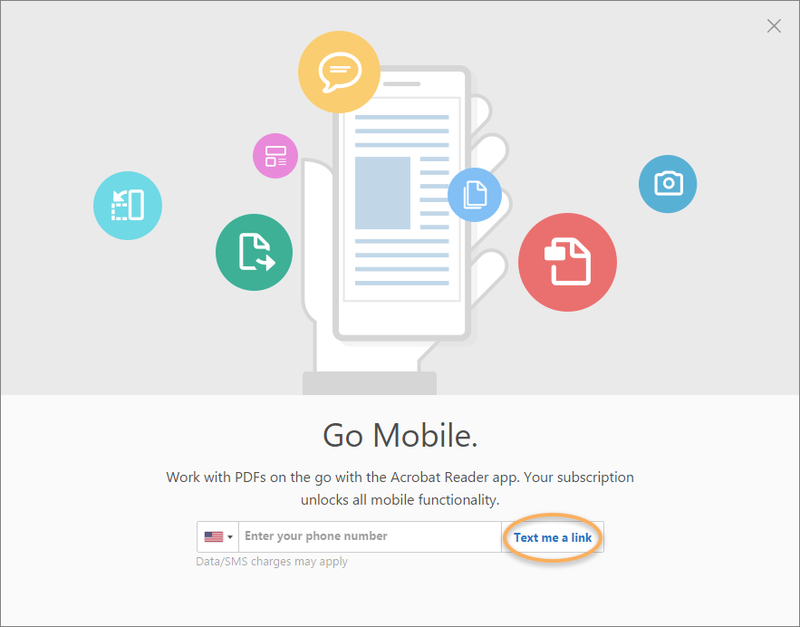 Mobile Link is discontinued in Acrobat and Reader. The feature-specific sections on UI are also removed. 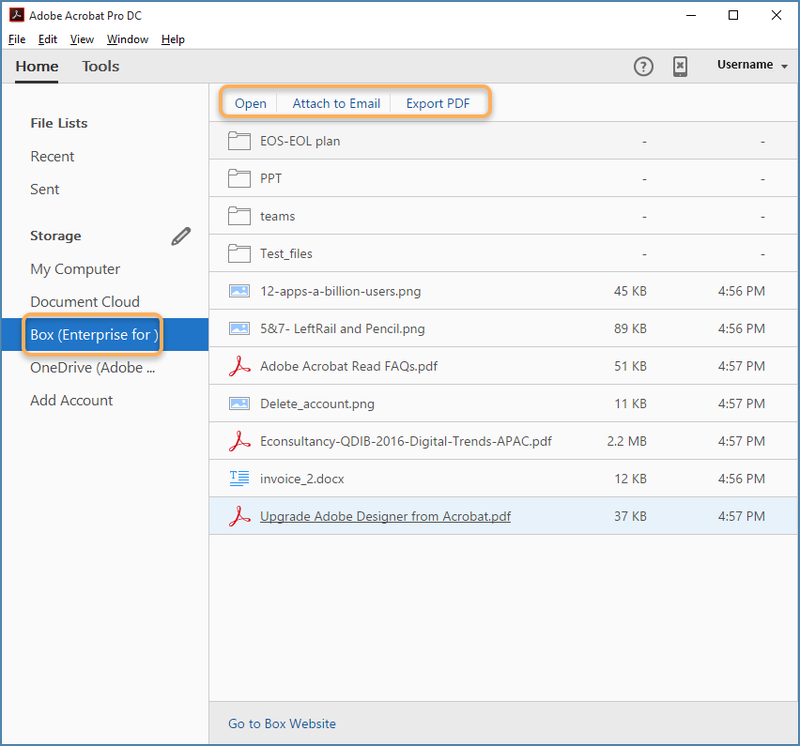 Recent files will still be available and you can continue accessing PDFs you uploaded to Adobe Document Cloud from your Recent list across all your devices. You will still have the option to store and share files in Document Cloud. For more information, see the Frequently Asked Questions. New or first time users can now quickly learn to use key Acrobat DC features with quick tips and guided walkthroughs in the Home view. 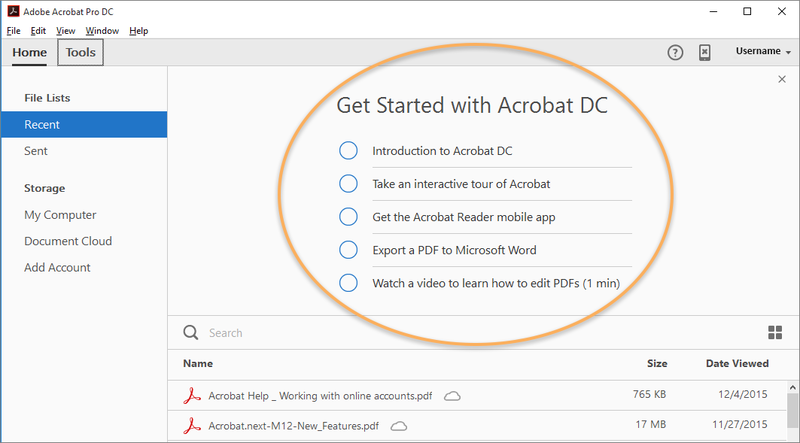 When you launch Acrobat, you see Get Started with Acrobat DC options in the Home view. Choose an option to see the related guided tour or a quick video. For a guided tour, a series of hints appear progressively within the product - the next hint appears only when you act on the current hint. 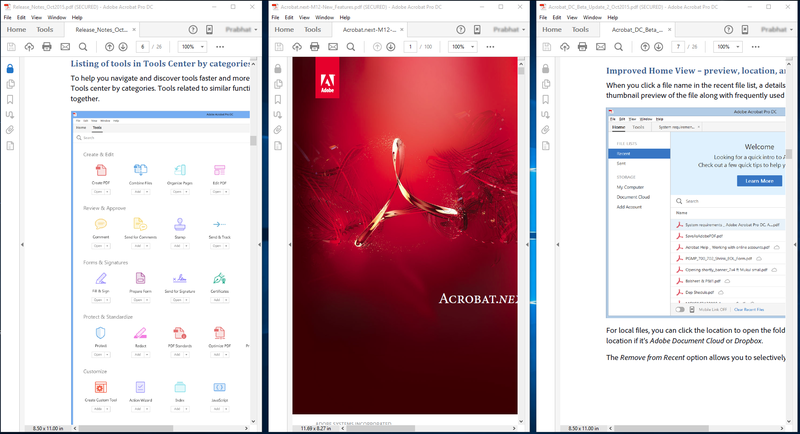 Acrobat can now send a text message on your mobile device with links (iOS App store/Google Play store) to install the Acrobat Reader mobile app. Ensure you’re signed in; you see your name in the upper-right corner if you're signed in. Choose the Get the Acrobat Reader mobile app option (one of the options shown in the screenshot above). In the Go Mobile dialog, choose an appropriate country, enter your mobile number, and then click Text me a link. Acrobat sends a message on your device. Follow the instructions in the message to complete the installation of the mobile app. Adobe doesn’t save your phone number entered here. 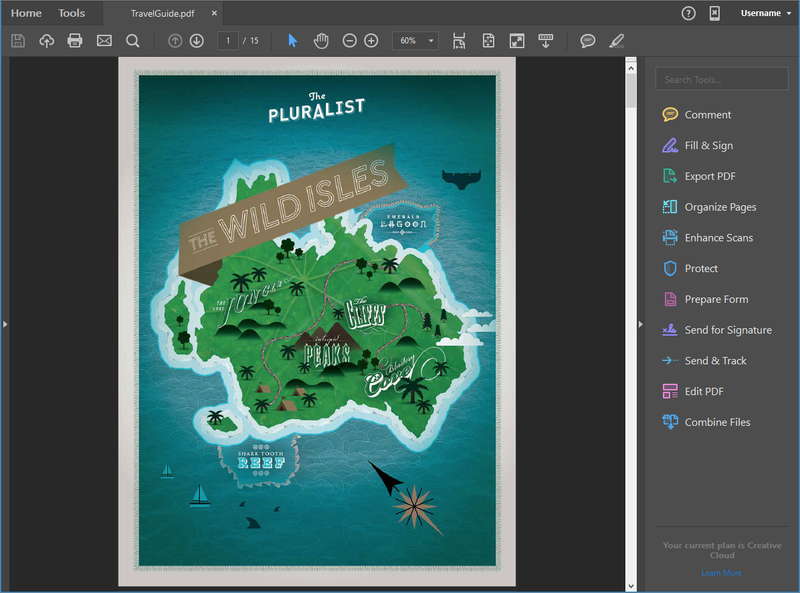 In addition to the Light Gray theme, Acrobat DC and Acrobat Reader DC now has a new Dark Gray theme, which is in line with other Creative Cloud products, such as Photoshop, Illustrator, and Premiere Pro. This theme enables a pleasant visual experience, especially while working with rich colors and designs. It also makes cross-application work simpler than ever. By default, the theme continues to be Light Gray. To change it to Dark Gray, go to View > Display Theme > Dark Gray, and then relaunch Acrobat DC or Acrobat Reader DC. 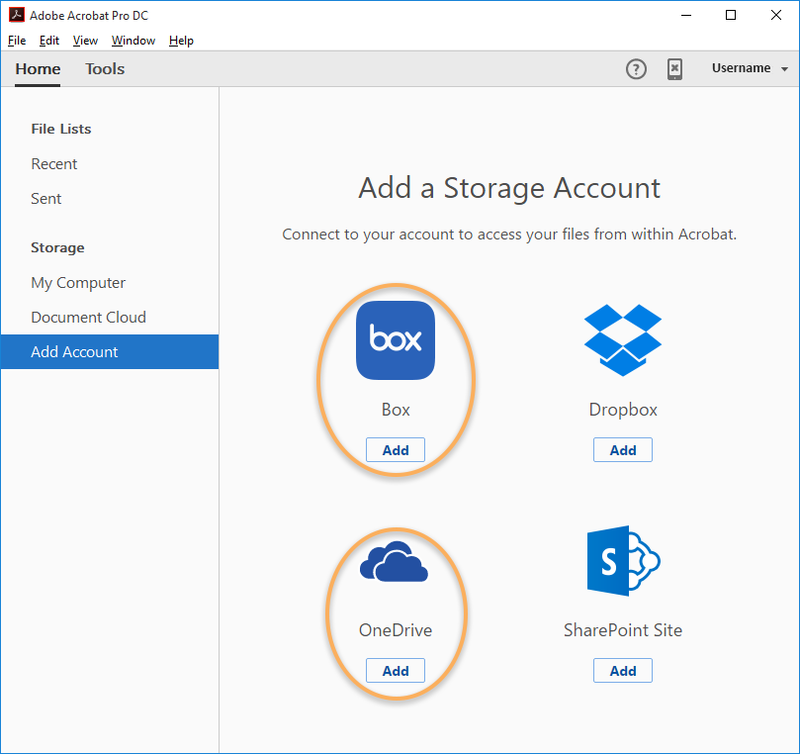 You can now easily store and access files from your Box and OneDrive Consumer or Business file storage account while working in Acrobat DC or Acrobat Reader DC on your desktop. 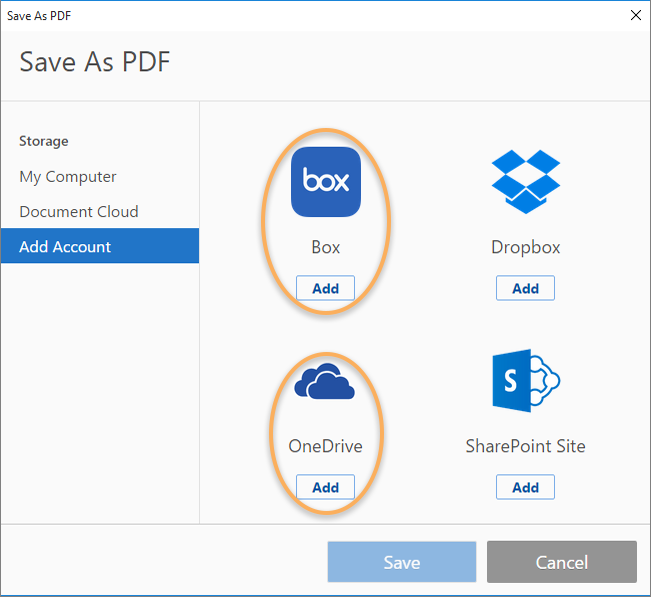 Once you add Box or OneDrive accounts from the Home view or the custom Open or Save dialog box, you can easily perform standard operations on the files from within Acrobat DC or Acrobat Reader DC - open, save as, create PDF, export PDF, and attach to email. Once the accounts are added, you see an entry of the same in the left pane and listing of files and folders in the right pane. Now all the actions specific to the selected file type are available for you from here, and also from the custom Open or Save dialog box. Search, sort, and filter commands are yet not available in the Home view for Box and OneDrive files. Adobe doesn’t store Box and OneDrive assets on its own servers. 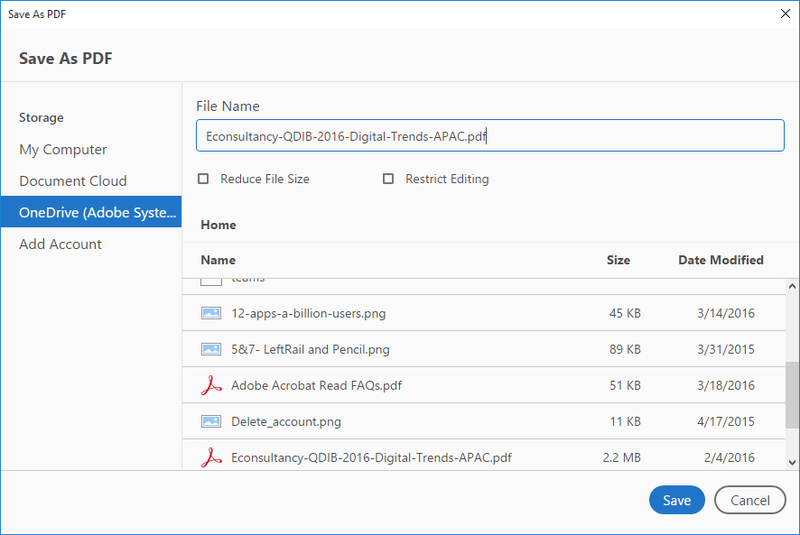 For more information, see Working with online storage accounts in Acrobat DC. The Scan tool now has a new simplified interface. The new interface makes it easy for you to quickly scan paper documents to PDFs using the default settings or a preset. It also makes it easy for you to tweak scan settings from the same interface using radio buttons, a gear icon, or both (wherever applicable). 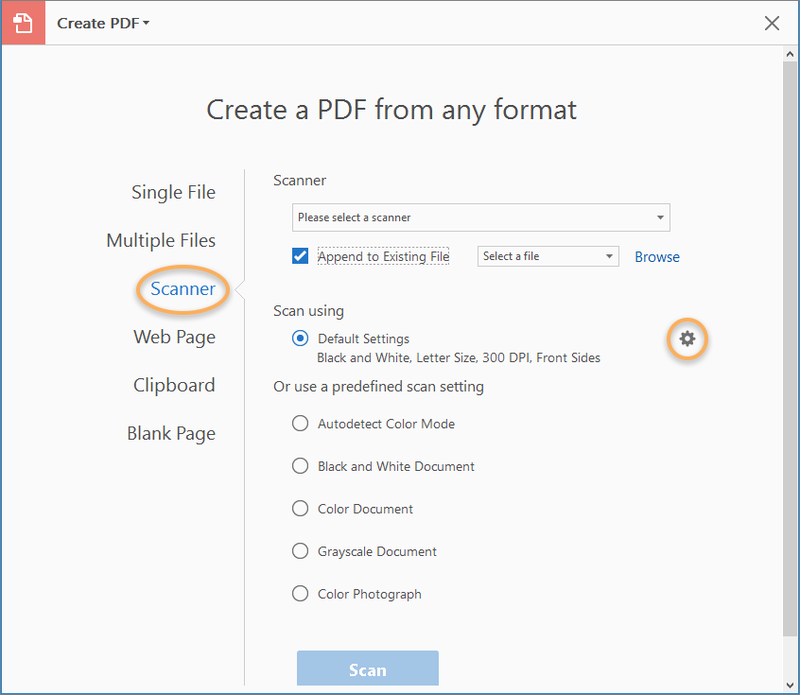 To access the app, go to Tools > Create PDF > Scanner. The new interface is displayed whenever you get into the Create or Insert PDF from scanner workflow. The Settings icon is displayed next to the Default Settings or a selected preset. Clicking the icon exposes all the related settings, where you can change the settings and save or scan using the modified settings. Right-click on the Comment toolbar and then choose Customize Comment Tools from the context menu. In the Customize Comment Tools dialog box, choose the tools that you use frequently. 1. Choose tools from the list, 2. Click add to toolbar, 3. Added tools appear on the top, 4. Click save. You can now create high-quality Adobe PDFs with live links from inside Microsoft PowerPoint 2016 (32-bit, version 15.19 or later) for Mac using the new Acrobat ribbon. Now you can initiate SharePoint or Office 365 sites-based review on Mac OS. Getting a thumbnail preview of PDF files on Windows explorer is now supported for 64-bit platforms as well. To enable this, go to Preferences > General and then select Enable PDF thumbnail previews in Windows Explorer. Screen readers can now read aloud the Home view and the Save As dialog box options, improving access for users with visual impairments. You can now choose a specific font for both Add Text and the fallback option in edit text features using the two new font options under the Content Editing preferences. For more information, see Change default font for fallback in PDF editing and Add Text. The accuracy of optical character recognition is improved significantly when scanning documents written in Chinese Simplified, Chinese Traditional, Japanese, and Korean languages. When you close Acrobat DC with multiple tabs or documents open, a confirmation prompt is displayed so that you don't accidentally close documents that you may want to keep open. Also, a new preference is introduced to reset the confirmation prompt – Edit > Preferences > General > Prompt before closing multiple tabs. By default, it’s ON. When you have multiple documents opened, you can now compare them side-by-side by tiling tabs vertically or horizontally using the Tile option on the Window menu (Window > Tile > Horizontally/Vertically). It snaps out the tabs as separate windows and tile them accordingly. Now you can host shared reviews on SharePoint/Office 365 sites. Mac users can now participate in Office 365 SharePoint based reviews. When you close all PDFs, the Home view is closed by default. Acrobat/Reader DC and XI are now supported on Windows Threshold 2. 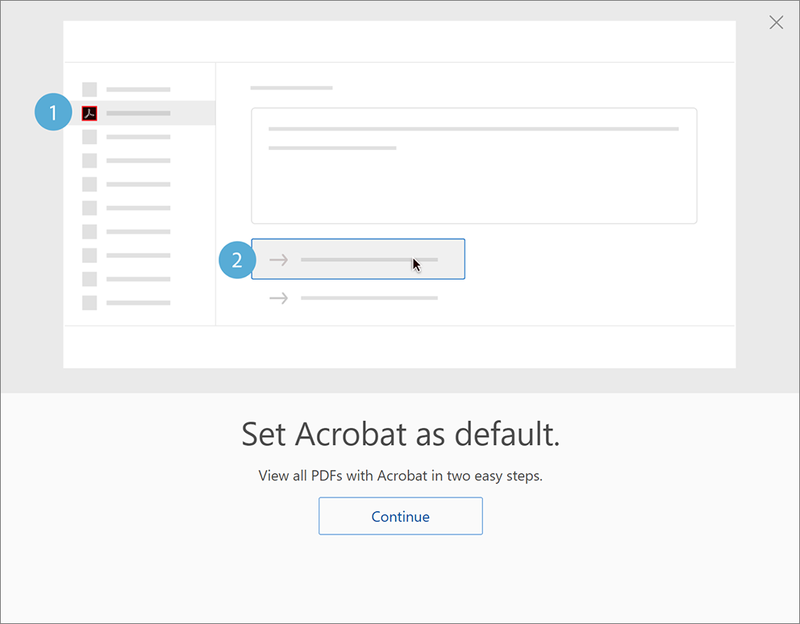 Acrobat now supports PDF creation from Office 2016 on Mac from Create PDF workflows within Acrobat. 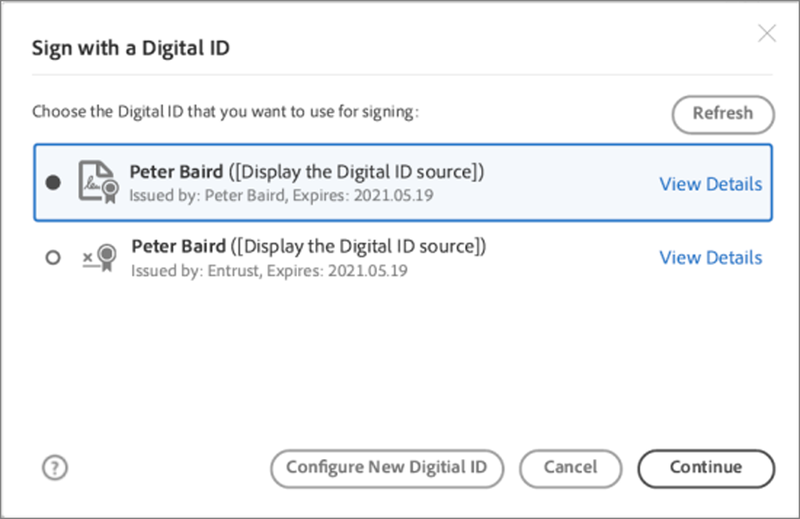 End users don’t have to create an Adobe ID to use Acrobat DC as Adobe has made signing in optional for serialized deployments.